Swift Arrival To Your Business or Home! Get our experienced techs at your door within hours for most jobs. Our technicians are in the field constantly ready to come to your home or business. Suffolk County Pest Control provide 24/7 assistance for bed bugs & all pests. Serving all of Suffolk County, Long Island, NY. New Client PROMO is BACK! Suffolk County Pest Control is the leader in residential and commercial pest control, termite treatment, bed bug removal and much more! Call the pest experts today for a free consultation! Suffolk County Exterminator will successfully rid your home or business of any pest infestation. We specialize in keeping your home and office free from annoying pests and safe from poisonous insects. Suffolk County Pest Control is the leader in expert, professional and effective pest extermination services for proper Pest Control Suffolk County Exterminator. 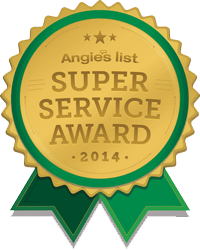 We will successfully rid you of any pest infestation in a professional and courteous manner. Why Choose Us At Suffolk County Pest Control? Suffolk County Pest Control technicians are professionally trained to exterminate all types of pests. Ants cause a nuisance as they travel widely in search of food, following well-defined trails and clustering around the food source. The cockroach is a scavenger that feeds on the organic decaying matter and a variety of other foods. Bees, yellow jackets, and wasps can become a serious threat to the safety of you and your loved ones. Many times hives are built on properties without the homeowner having any idea until a dangerous swarm has begun. Mosquitoes are known for spreading terrible diseases. Bed bugs are filthy pests that feed on a host during the night. The thought of any of these pests entering into your home can leave you feeling overwhelmed. Suffolk County Pest Control will eradicate these pests and provide excellent inspection service. You want your home to be comfortable- but not for pests! The team at Suffolk County Pest Control will quickly and efficiently eradicate pests from your home so you can live worry free from any dangers pests cause. We ensure your home, inside and out, will be properly cared for. Whatever your industry, pests are bad for business. 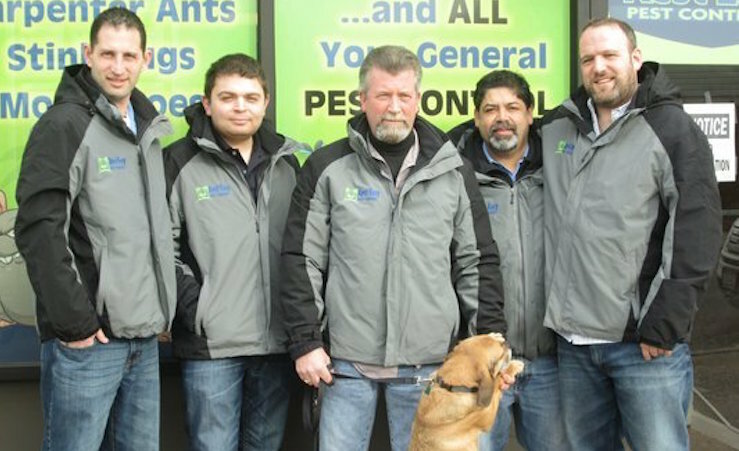 Suffolk County Pest Control will safeguard your place of business from pests that can cause damage and embarrassment. Our commercial pest control in Suffolk County stands up to its reputation and assures pest removal, as well as prevention, from your commercial business. Not only do we service the great Suffolk County area, but we also cover all five New York Burroughs and Nassau County. We are trained professionals and we treat every client with the proper care and courtesy they deserve. Let us help you exterminate all pests from your home or place of business. Suffolk County Pest Control will keep you and your family safe and comfortable. Call Suffolk County Pest Control to take your termite infestation head on Termites are the most destructive wood-eating pests. Failing to act on the hint of an infestation immediately will leave your home with a serious risk of damage. Suffolk County Pest Control offers regular inspections to keep your place of business and your home a great distance from potential termite damage. The initial Service charge of $149.00 applies the monthly charge of $39.99+ (based on the size of the house) for 11 months. All prices subject to sales tax (Credit Card Only). The Pest Control Service contract will begin when the initial visit is completed. This Contract will automatically renew for a successive 30-day term(s) at the expiration of the initial 1-year term or any 30-day renewal term unless terminated by either party with written notice at least 30 days before the end of the then-current term. If terminated, this Contract ends on the last day of the then-current term. If terminated, this Contract ends on the last day of the then-current term. Pests Covered: common ants, crickets, beetles, moths, millipedes, earwigs, roaches, silverfish, carpenter ants, carpenter beetles, centipedes, carpenter bees, spiders, wasps, water bugs, and yellow jackets. Mice, rats, fleas, and ticks (interior of home). Pests Not Covered: Termites, bed bugs, stink bugs, digger wasps (cicada killer), mosquitoes, birds, squirrels, raccoon (and other fur-bearing animals), ongoing rat or mice problems on the exterior and rodent proofing. The Initial fee of $239 must be accompanied with a 12-month service contract at $59.99 each month (Credit Card Only), and this gives you termite coverage PLUS everything covered under the Pest Protection Plan* (see above). All prices are plus tax. The Termite Services will begin when Termite Baiting System is installed. This Contract will automatically renew for the successive 1-year term(s) at the expiration of the initial 1-year term unless terminated by either party with written notice at least 30 days before the end of the then-current term. If terminated, this Contract ends on the last day of the then-current term. Cement Drilling will be additional. This includes up to 10 Termite Monitoring Stations and it is $25 for each additional station.